If you're experiencing a sense of déjà vu, then it's not just your imagination. A little more than a year after A$AP Rocky was sued by a crowd member over a stage diving injury, the rap star has now been named in another lawsuit, once again over a crowdsurfing incident at a concert. The suit has been filed Krystina Clowes, who suffered a fractured vertebra at a show back in 2013. But here's the strange part: Rocky wasn't actually the one responsible for the woman's injuries. Rather, TMZ reports that the incident took place at an A$AP Ferg show, and it was apparently A$AP Mob's Young Shabba who jumped into the crowd. So why is Rocky the one being sued? Clowes claims that the whole A$AP Mob has a history of stage diving and crowdsurfing, so they're all responsible. TMZ suggests that Rocky is being singled out because he is the most financially successful. The woman is seeking a minimum of $75,000 and is evidently hoping for more. 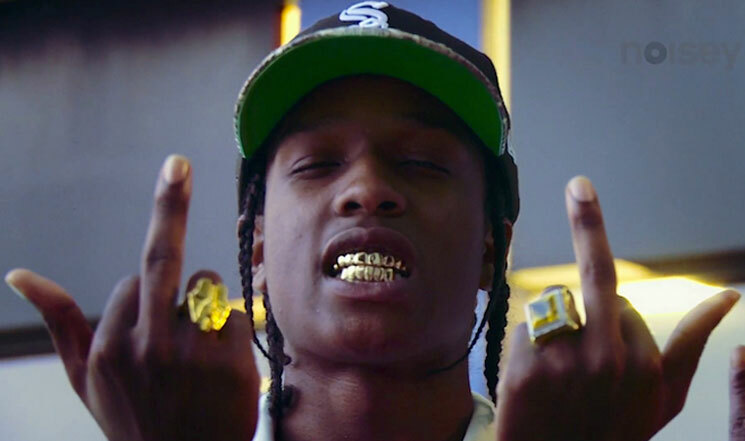 A$AP Mob's rowdy antics during gigs have come back to haunt them from time to time. Rocky was previously sued after allegedly slapping a female fan during a concert in 2013.